One thing that gets us through these (seriously brutal) winters? Resort style. Whether you’re taking a much-needed vacay or embracing resort style from the comfort of your native city, this is for you. 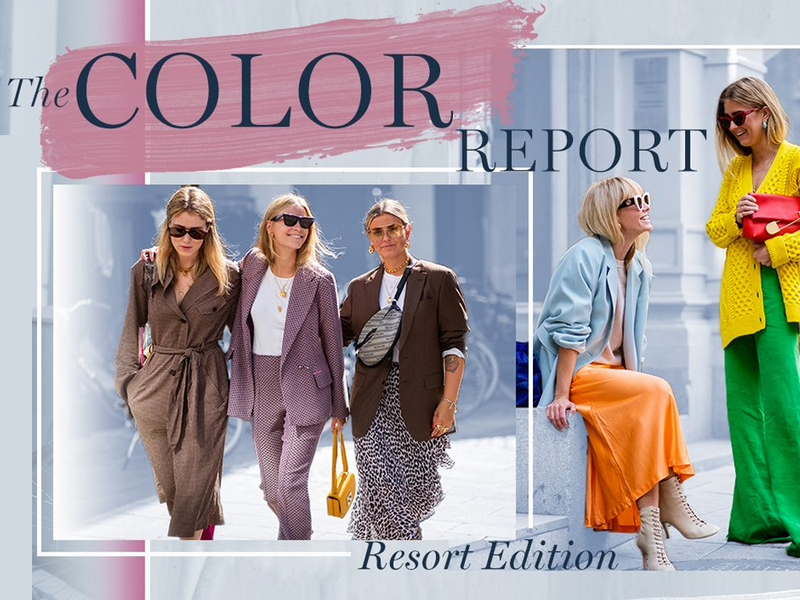 We’re rounding up the hottest color trends of the season and dishing on how you can get the looks. Pastels: Can you even resort without them? Mix and match these sugar-coated hues for a so-on-trend colorblocked outfit. Opt for pieces with structure (like tailored trousers) to give these youthful tones a sophisticated update. These neutral looks are anything but boring. Opt for look-at-me silhouettes – like wrap dresses and matching sets – to give your toned-down hues a wow factor. Really want to make a statement? Animal print is for you. Leopard is basically a neutral anyway, right? When it comes to this trend, the bolder the better. Give your all-black-everything ensemble a break with (totally unexpected) punchy hues. Slouchy layers add to the playful vibe of this look. Not ready to commit? Ease into it with a pop-of-color bag. This trend reminds us that fashion is supposed to be fun.